Home Alarm kits are becoming more and more popular, Honeywell & Yale have a very exciting range of security systems to protect your home, garage & garden. Honeywell & Yale are popular & trusted home alarms. They offer a high quality security package, on the market at very reasonable prices. All Alarm kits come with a 2-year warranty and are fully fitted and tested with the option of a 3, 6, 9, 12-month inspection & service options. Deter intruders with a wired or wireless security system. We also provide a fault finding and repair service if you have an alarm that hasn’t worked or that you haven’t used for a while. Our security systems are available with either room motion sensors, door and window sensors or a combination of both depending on your specific requirements. 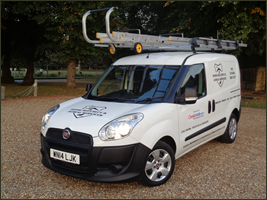 Copyright © Home Security & Aerial Services For Northamptonshire, Bedfordshire & Cambridgeshire.